After the conclusion of every Northwoods League season, St. 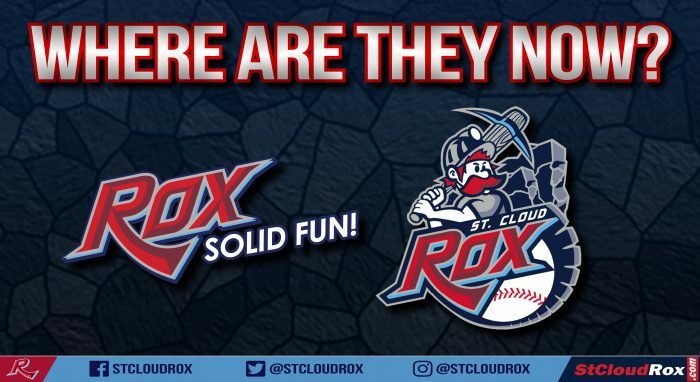 Cloud Rox players come and go in hopes of advancing their baseball careers beyond college and reaching the professional level. As we’ve seen in the past, over 200 former Northwoods League players have gone on to play at the Major League Baseball level — a league-high 26 players that played in St. Cloud — currently including the likes of Los Angeles Dodgers catcher Austin Barnes (played in St. Cloud in 2010) and Minnesota Twins catcher Mitch Garver (played in St. Cloud in 2010-11). There are, however, numerous former Rox players that are still in pursuit of their ultimate goal, trying to climb their way up minor league systems to grab their shot with a big league club. Right now, 32 former St. Cloud players are currently playing for teams throughout Class A, Class A Advanced, Double-A and Triple-A levels spanning around the country. Where are those players currently playing? We’re here to help break it all down. There are eight former Rox playing at the Triple-A level right now, which increased from four total players at the Triple-A level at this time a year ago. Five of those eight players have kicked off the 2019 season in the International League in Triple-A ball. Will Craig (played with the Rox in 2014) and Alex McRae (2013) are both with the Indianapolis Indians in the Pittsburgh Pirates system, Lucas Long (2012-13) is playing for the Norfolk Tides in the Baltimore Orioles system, Kade Scivicque (2014) is playing for the Toledo Mud Hens in the Detroit Tigers system and Josh Taylor (2014) is with the Pawtucket Red Sox in the Boston Red Sox system. Two of the nine players at the triple-A level are currently playing in the Pacific Coast League, including Ben Meyer (2012) with the New Orleans Baby Cakes in the Miami Marlins system and Nick Tanielu (2012) with the Round Rock Express in the Houston Astros system. Carlos Lopez (2012) rounds out the list of former Rox players, currently playing with Bravos de Leon in the Mexican League. In Double-A ball, there are eight former Rox players that are playing for various teams across the country. Four of those eight players are spending time in the Southern League, with Trevor Charpie (2015-16) playing for the Montgomery Biscuits in the Tampa Bay Rays system, Ben DeLuzio (2016) currently with the Jackson Generals in the Arizona Diamondbacks system, TJ Friedl (2016) playing with the Chattanooga Lookouts in the Cincinnati Reds system and Mitchell Kranson (2014) playing for the Pensacola Blue Wahoos in the Minnesota Twins system. Three former Rox are playing in the Eastern League, including Jay Flaa (2013) and Zach Pop (2015) both with the Bowie Baysox in the Baltimore Orioles system and Brett Pope (2015-16) playing for the Altoona Curve in the Pittsburgh Pirates system. Josh Altmann (2015) is currently playing in the Texas League with the Frisco RoughRiders in the Texas Rangers organization. Class A Advanced ball currently holds a total of eight former Rox players. Three of those players are currently in the Florida State League, including Austin Athmann (2015) with the Lakeland Flying Tigers in the Detroit Tigers system, Vince Jackson (2013) with the Palm Beach Cardinals in the St. Louis Cardinals organization and Matt Shannon (2016) with the Dunedin Blue Jays in the Toronto Blue Jays system. Three of the eight former Rox are spending time in the California League, with Lucas Gilbreath (2015) currently playing for the Lancaster JetHawks in the Colorado Rockies system, Jason Hoppe (2013) playing with the Inland Empire 66ers in the Los Angeles Angels system and Logan Salow (2016) with the Rancho Cucamonga Quakes in the Los Angeles Dodgers system. Brian Glowicki (2015-16) and Chad Hockin (2014) are both playing in the Carolina League for the Myrtle Beach Pelicans in the Chicago Cubs organization. In Class A, eight more former Rox players are playing across the United States. Six of those eight players are currently in the Midwest League, including Drew Avans (2017) with the Great Lake Loons in the Los Angeles Dodgers organization, Brandon Benson (2015-16) with the Peoria Chiefs in the St. Louis Cardinals system, Denis Karas (2016) with the Clinton LumberKings in the Miami Marlins system, Daniel Schneemann (2017) with the Lake County Captains in the Cleveland Indians system, Jared Solomon (2017) with the Dayton Dragons in the the Cincinnati Reds system and Harrison Wenson (2014) currently playing for the Burlington Bees in the Los Angeles Angeles organization. Nick Bush (2016) and Shelby Lackey (2016-17) are both playing in the South Atlantic League for the Asheville Tourists in the Colorado Rockies system. 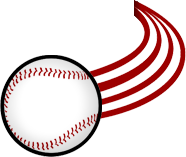 Make sure to keep updated with all the former Rox players in the minor leagues with our up-to-date list here.